Drug treatments for dementia: what are my options? When you or your loved one receive a diagnosis of dementia, there will be many different thoughts going through your mind, one of them being “Is there medication that can help?”. The answer to that question is “yes”, depending on your specific subtype of dementia. However, it is a cautious “yes”, and it can be challenging to get your head around when and how medications might help. 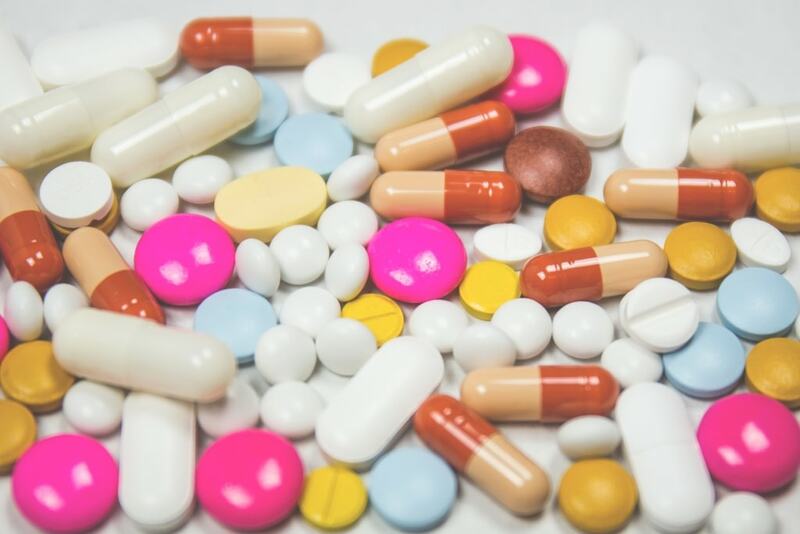 None of the available treatments are curative, however, some drugs have been developed that can help treat the various symptoms, including memory problems, thinking difficulties and depression. As someone affected by dementia, it is important to be aware of what these treatments are, how they work, and have the information to make an informed decision. It can be helpful to have a basic understanding of the treatment options prior to seeing your doctor. Although they will be able to discuss medications with you, the amount of information you receive during a consultation can feel overwhelming. It may also be useful to have a list of questions prepared prior to the appointment to make sure the doctor can answer any queries you might have. In the UK, if you are prescribed a drug for dementia, treatment is usually started by a specialist doctor. Specialist doctors who see dementia patients include psychiatrists, geriatricians and neurologists. Once treatment has been started, it may be continued and monitored either by a specialist or by your GP. There can be side effects and it is important to monitor for these to ensure that the benefits of the drug outweigh the negatives. The caregiver plays an important role here, as he or she may have to monitor compliance to drug regimes and note any possible side effects. You can keep track of this using the CogniCare app, which lets you schedule your medications and note any side effects. Nerve cells in the brain talk to each other by releasing chemicals. One such chemical is acetylcholine, which plays an important role in memory. People with Alzheimer’s disease have low levels of this specific chemical in their brain. Cholinesterase inhibitors are chemicals that stop the breakdown of acetylcholine and thus help to increase the amount acetylcholine available in the brain. Cholinesterase inhibitors are licensed specifically for people with mild to moderate Alzheimer’s Disease, so a clear diagnosis has to be made prior to the prescription of the drug. However, they may also be prescribed for people with mixed dementia or Dementia with Lewy Bodies. They can treat some symptoms of dementia in some individuals, and lead to improvement in thinking, memory, communication or day-to-day activities. Cholinesterase inhibitors cannot stop disease progression, but they can help some people to function at a slightly higher level than without the drug. However, it is important to note that for some people the condition will stay the same or may continue to progress despite this treatment. All cholinesterase However, because different drugs have different side effects some people may prefer one over the other. The drugs listed below are available as tablets or capsules, as well as in liquid form. There are a number of side effects that are mild and usually temporary. These include being sick, diarrhoea, having trouble sleeping, tiredness and/or muscle cramps. Another chemical that is released in the brain is glutamate. It is involved in helping nerve cells communicate with each other, however, excess levels of glutamate can damage the nerve cells in the brain. Memantine works by blocking the effects of excess glutamate. Memantine is prescribed to people with moderate Alzheimer’s Disease when cholinesterase inhibitors prove to be ineffective or to people with severe Alzheimer’s Disease. Again, some people may find that their condition stays the same or continues to progress. This drug is usually prescribed as a tablet but is also available in liquid form. Usually, the temporary side effects include headaches, dizziness, drowsiness and constipation. In some cases, where people with dementia display severe behavioural changes, an antipsychotic drug may be prescribed. However, most of the time this is only if the person is in severe distress or there is an immediate risk of harm. This is because antipsychotic drugs have serious side effects. Risperidone (Risperidal) is licensed to treat severe agitation, aggression and psychosis in people with dementia. On rare occasions other drugs may be considered at a low dose. These include Haloperidol (Haldol, Serenace) prescribed for 1 week, Lorazepam (Ativan, Temesta) and Benzodiazepine (which is not an antipsychotic). Long-term side effects include an increased risk of stroke, and a worsening in memory and thinking in people with Alzheimer’s Disease. Therefore, these drugs should not be used for longer than 3 months. In particular for people with Dementia with Lewy bodies, antipsychotic drugs can be dangerous. For these conditions, they should only be prescribed in severe circumstances, as they can cause symptoms to worsen and result in sudden death. Finally, antidepressants may be prescribed to treat depression in people with dementia. Our cognitive ability is linked to our mood, and therefore it can be very important to make sure that the person suffering from dementia is being treated for signs of depression. An important thing to keep in mind is that polypharmacy can become an issue for people with dementia. If you are taking several drug for other conditions, then these may have a negative impact on your cognitive abilities or mobility. Medications can affect thinking ability or memory. For example, drugs can make you feel more drowsy. It is, therefore, particularly important to be aware of this when choosing what treatment to offer someone with dementia. Doctors will be able to provide advice. For further support the CogniCare app is designed to help caregivers track the different medications, and try and understand any effects that they may be having on the person with dementia. Not everyone will choose to opt for a drug treatment, and there can be various reasons for this. There are many non-drug treatment options available that may benefit the person with dementia and their loved ones. CogniCare can guide you towards these various alternative therapies, and allow you to explore all the different options.